Recently, I told someone that my favorite part about getting to know people is when I find out about the struggles they've faced. This may seem odd, but we've all had something happen that had a significant impact on our lives and defined us--for better or worse--as a person. That, in my opinion, is when you truly get to know someone. However, many of us don't go around sharing that thing--or things--freely...myself included. Author Katie Jansson Shahin is not a stranger when it comes to keeping to herself the big things that have happened in her life. She's also not a stranger to writing. Born in Sweden, Katie moved to California in 2010 and currently resides in North Bay. Most of her writing career has been spent working on screenwriting. When she's not writing, Katie is a Human Resources and Recruiting professional. Her debut novel, One Day This Will All Make Sense (December 4, 2014; also available on Amazon UK) is heavily inspired by her experiences moving from Sweden to Los Angeles. 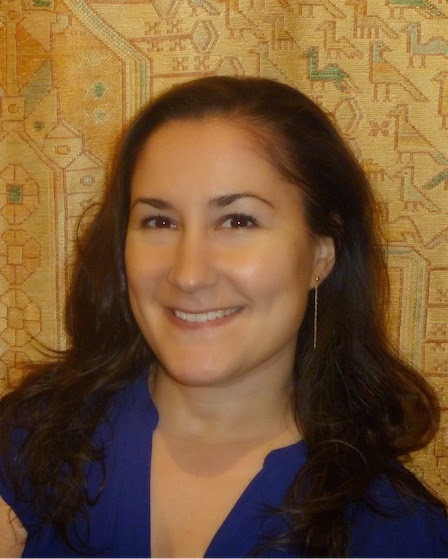 Now, please give a warm Chick Lit Central welcome to Katie Jansson Shahin! He responded that I would have a hard time ever becoming a writer if I wasn’t willing to open myself up and sharing my own experiences. But he let me decide for myself what to write. I couldn’t see why on earth a writer had to be an open book regarding his or her own life in order to ever become a good one. I was even a little offended that he didn’t believe I could be a writer without sharing too much of my own experiences. As if my vivid imagination wasn’t enough. Wasn’t writing fiction all about telling a made up story? At least the word “fiction” implied so. For years I attempted to write my first novel. Usually I didn’t get further than an rough bullet point outline. I had no idea what I was doing. I could write screenplays and TV scripts with no problem, and I had gotten good at it. But novels were a whole new territory where you didn’t just type what was seen or heard on the screen. As it turns out, it wasn’t until I went through one of the most difficult times in my life, that I was finally able to start writing a novel. And it wasn’t until I was willing to pour my heart and soul into it, share my inner most secret feelings and thoughts with no censorship, that it got any good. I am an introvert with social anxiety, which currently seems to have been “cured.” I am also Swedish. (Ever seen Welcome To Sweden? We actually do hide from our neighbors. Embarrassing, I know.) So you can imagine it wasn’t easy sharing. I many times found myself makings changes, trying to downplay certain feelings or reactions. I was terrified of people reading it. But eventually I managed to convince myself that the raw reality was what would make this novel. Without it, it was just another story about a girl trying to make it in Hollywood. Although not everything in One Day This Will All Make Sense is real, most of it is. There are things in there I never told even my closest friends. They called me after having read half the book, feeling terrible for not knowing all the things that I was now sharing. Some felt they had failed me as a friend by not knowing how bad it was or not being able to help. There were two reasons I didn’t tell them. I wanted my conversations with them to be happy ones, not another chance for me to dwell on my current situation. But mainly, I simply didn’t want them to know. And then I went ahead and put in a novel. Slightly contradictory, isn’t it? 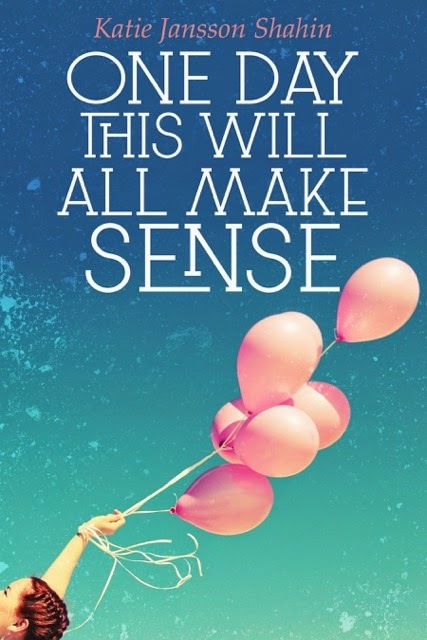 And now One Day This Will All Make Sense is out. It is the best thing I have ever done for myself. Not only was it cathartic to write it—it’s helped a lot with my social anxiety as well. After having shared what’s in the novel, I feel I have nothing to hide anymore and it doesn’t matter a whole lot what people think or know of me. In comparison to what I share in my novel, few things can be too difficult to tell people or worth keeping secret. If they want to judge me or have an opinion about me, they can. But at least now they have all the information. It is such a freeing feeling. In the three years since Emma, Human Resource professional by trade and writer at heart, moved to Los Angeles from Sweden it has been anything but smooth sailing. When she was offered a new job Emma thought she had finally found the security she’d been looking for since moving to the city of her dreams. The bliss is short-lived as Emma struggles to adjust in her new role and environment. She fails to learn how to play by the unwritten rules and office politics of corporate America, leaving her defenseless against a new boss who soon makes it clear that he wants her gone. After having put her writing before her HR career for so long, Emma knows it was just a fluke when she was hired and is determined not to let it slip away. But she cracks under the pressure and is ultimately fired. Will she be able to dig herself out again? Or has she peaked at 27? More importantly, will she survive in the city that represents everything she has dreamt of becoming? Thanks to Katie for inspiring us to write outside of our comfort zones. To learn more about Katie and her novel, visit her at her blog and Twitter. This book sounds very interesting. I don't know if I could ever come clean about my past. Very few people really know my secrets. Tracy and Melissa, this looks really great. And I really like the introduction! Thank you so much! Katie, you never know who's life you might touch with your past. You never know who may have gone through the same thing and might be looking for someone who can relate to their experiences. I know when I read a book and it's something I relate to, I like that book a lot more (even if it's tough times I would rather forget). It's all good when you are able to get it out. This is something I struggle with on a daily basis. It's easy to keep it in, but it feels better being able to get it out. You're so right, Janine. Actually, a few people who did go through a similar thing in the same place as I did, reached out to me. They were happy I shared the story. That was reward enough for publishing it. And if it can help anyone else not just in similar situations, but rough times in general, that would be so rewarding.